Business owners are responsible for taxes. Are you wondering about useful tax planning software for individuals and small business? When tax season is right around the corner, thoughts often to getting finances in order. Determining how much you owe to the IRS helps avoid late fees and penalties that come with not paying taxes on time. Maybe you've heard a lot about different and useful tax preparation software packages, but you're not sure which one is right for you. Although there are a lot of different options out there, below are a handful of some that might be helpful! H & R Block at Home Premium/Business Tax Software can help you do both both federal and state taxes. The program costs almost eighty dollars, and is available by ordering it online or via purchase at various computer stores. The package includes two programs for managing both personal and business taxes. It has includes five free personal federal e-files. It has a personal state program download and unlimited business state downloads. You can print unlimited returns for free. In the event of an audit, you can have an H & R agent represent you, as well as guide you through the process. 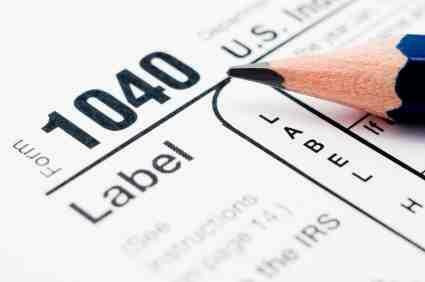 You can also search through hundreds of different deductions to ensure that you receive the biggest refund. There's a maximum refund guarantee, as well as one hundred percent accuracy and satisfaction guaranteed. H & R Block's software is compatible with Windows XP, Windows Vista, or Windows 7, and it works with Internet Explorer 6.0 and higher. TaxACT is another alternative. With TaxACT, you can choose between three different options for the type of program you want. You can choose the Free Federal Edition. This gives you the ability to prepare, print, and e-file your taxes. You are guaranteed your maximum refund, and you receive free e-mail and audit support from TaxACT. Alternatively, you can purchase the Deluxe Federal Edition for just under ten dollars. With this version, you can import data from a prior year, you can maximize the value of all your non-cash donations, and you also receive free phone support in addition to the free e-mail and audit support. This version also comes with extra calculators and reports. Finally, you might consider purchasing the Ultimate Bundle for just under twenty dollars. This allows you to finish your state taxes online in minutes, gives you the same customer support as the Deluxe Edition, and, according to the TaxAct website, was voted the best value out of the three products. You can also try TurboTax. TurboTax guarantees you your biggest tax refund. It also guides you through taxes step by step, and double checks all your steps to ensure you receive the deduction and credit you have earned. There are a number of different editions, including: the free edition, the deluxe edition, the premier edition, the home and business edition, and the business edition.Prices range from free to almost $150.00 (for the business edition). TurboTax has a live community, and thus you have access to quick and instant help on both your taxes and the software in general. With the business versions, TurboTax promises to uncover refund boosting business write-offs. Still want more tax planning software for individuals and small business? You can also try CCH Complete Tax. CCH Complete tax allows you to enter data and answer interview questions without extra steps required by some other software. It has perhaps the simplest user interface of any of the software and is the fastest of all the software for complete tax returns.It's designed for individuals who are more experienced at filing their taxes, and who might not need the same step by step help as other individuals. CCH Complete is updated frequently, and thus has the latest information about deductions for teachers, students, and sales taxes. It handles new tax credits for hybrid cars and energy efficient home improvements as well. The best tax planning software for individuals and small business depends on your needs and the type of program you feel most comfortable with. Try out a program to see if it works for you; if you don't like it, you can always switch to a different alternative when you file next year's taxes.